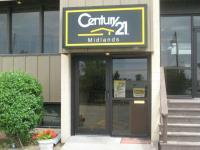 Century 21 Midlands is located in Kearney, Nebraska, but services the whole surrounding area in Buffalo, Kearney, Phelps, Dawson, and Sherman counties. We are a full service real estate company that can take care of any of your real estate needs and that includes rentals and property management. We are proud to be part of the #1 Real Estate Company in the World. That gives us world-wide connections, which means that we can help you anywhere in the World. We are committed to the Buyer and Seller Service Pledges and have received the Century 21 Quality Pinnacle Service Award for many years. This leads to our mission statement -- To be the highest quality service-driven Real Estate Company providing local service with world-wide access to all markets that we serve. We are very committed Real Estate Professionals who are well trained and ready to serve you. We are very involved in our community and enjoy giving to others. Century 21 Midlands is the #1 contributor to Easter Seals in our Century 21 Heartland Region. This region includes Nebraska, Kansas, Iowa, Missouri, and Southern Illinois. 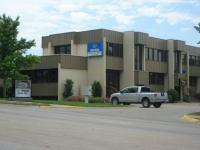 It is a pleasure to help Easter Seals Nebraska.